As the 3rd Senior Enlisted Advisor to the Chief of the National Guard Bureau―a member of the Joint Chiefs of Staff―Denise Jelinski-Hall achieved the highest position ever held by an enlisted woman in U.S. Military history. A Living History. From February 2010 to June 2013, Denise served as the Senior Enlisted Advisor to the Chief of the National Guard Bureau—the highest position ever held by an enlisted woman in U. S. Military history. More . . .
A Lifetime of Service. This award is presented in the name of the Secretary of Defense to members of the United States Armed Forces who perform “superior meritorious service in a position of significant responsibility.” More . . .
A Lifelong Learner. 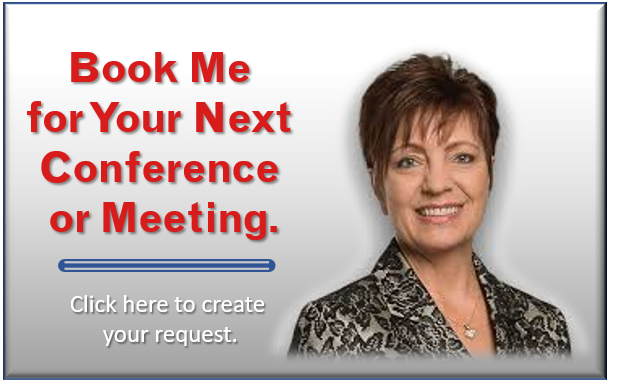 Denise is the model of a transformational leader who is making a difference, doing something that makes a difference, with people who make a difference, at a time that makes a difference. More . . . The strength of our military is in the volunteers who wear our nation’s uniform. This book shows you why. From humble beginnings built on a work ethic and a passion for success, Denise takes you through the events and decisions that led her to serve as the first female Senior Enlisted Advisor to the National Guard Bureau. Her story will inspire military and corporate leaders alike—as well as anyone committed to servant-leadership. My blog is a forum for conversations about the issues affecting our veterans, our military members, and their families—especially the spouses who so faithfully support our Armed Forces. I will also focus my thoughts on the trials and triumphs of women leaders in the workplace. I travel extensively, but will always do my best to keep up with your thoughts, advice, and guidance. 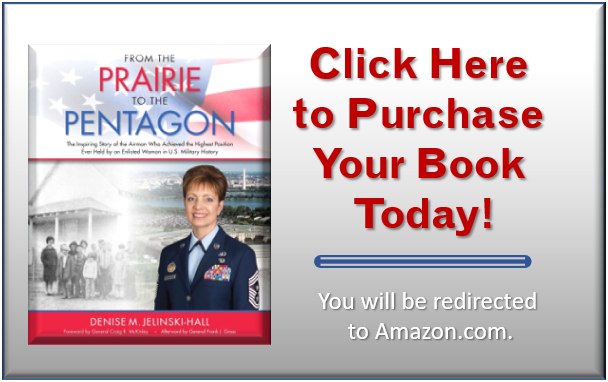 Relying on an unstoppable work ethic and a “never give up, never quit” attitude, Denise Jelinski-Hall achieved what no other woman in the history of the United States Armed Forces has ever accomplished”!